Check out our selection of stitch markers, needle gauges, and other necessary and sometimes just plain old fun tools. 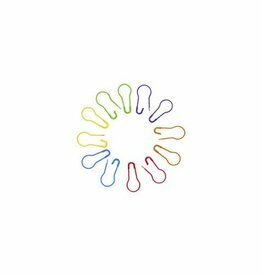 Whether you're looking for designer brand items from Katrinkles and or functional items from Clover you will find the knitting & crochet tools you need at River Colors Studio. The CocoKnits Stitch Fixer is a must have for your knitting notions pouch. 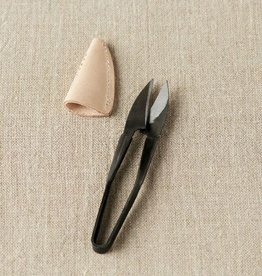 This is a great tool for picking up dropped stitches. Made from nickel plated steel. 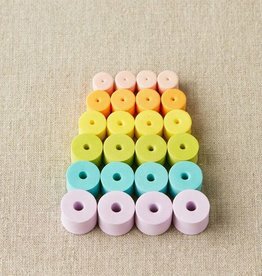 The CocoKnits Colorful Stitch Stoppers are great for all types of knitting needles. 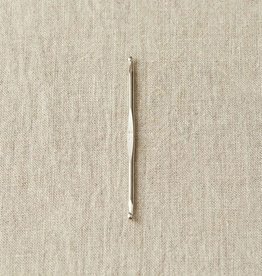 Each package includes 4 each of 6 sizes and accommodate US 1-15 needles. 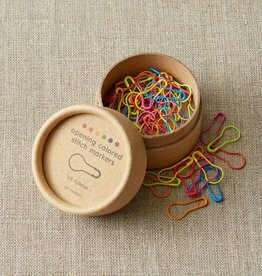 The CocoKnits Yarn Snips are a great tool to add to your knitting or crochet notions pouch for snipping yarn ends. Yarn Snips measure 4" in length. The CocoKnits Opening Stitch Markers include 60 total steel markers 10 each of 6 colors. Each markers accommodates up to a US 11 knitting needle. The Little Gems Scissors are tiny but mighty! 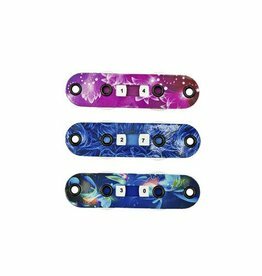 Made from stainless steel, they measure just under 2" and have sharp cutting blades for lace to super bulky yarn. 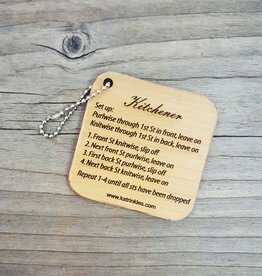 The Katrinkles Kitchner Keychain is a handy tool to keep in your notions pouch for when you're out and about and need to close up that handknit sock toe. The CocoKnits Ring Stitch Markers are bright and cheerful. Each pack comes with 10 each of 6 colors. Markers will accommodate up to a US 13 knitting needle. 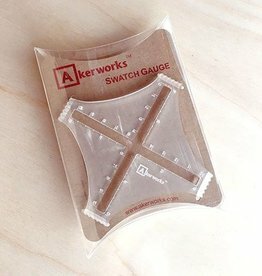 With the Swatch Gauge from Akerworks Inc. gauge swatching has never been easier! This tool offers a 4 inch cross measurement and gripping teeth at each end. 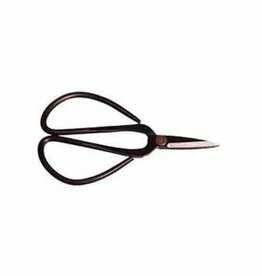 The Putford Scissors are the perfect pair of miniature cutting snips for all your yarn crafting needs. Made from stainless steel and measure 2 1/2" tall. 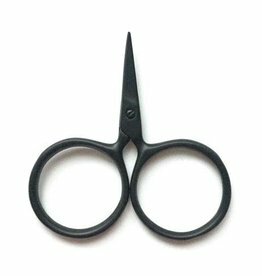 The Bryson Premium Premie Mini Scissors are the perfect size to slip into your project bag or notions pouch. 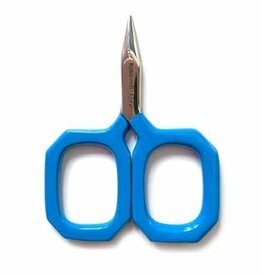 These scissors measure approximately 2 1/2". Add some jewelry to your knitting that is both cute and functional with this set of six laser cut, birch wood stitch makers from Katrinkles. 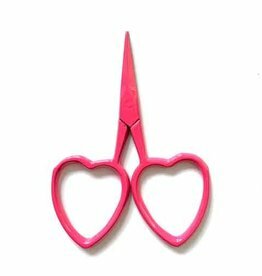 Show your love for scissors or someone special in your life. The heart shaped handles of these 2.5 inch Kelmscott Design scissors are perfect to add to you collection or be your one and only! The Hannah's Ideas in Wood 3" Ruler Keychain is a handy way to measure up to 3.25" on the go. Handmade in Bryn Athyn, Pennsylvania. 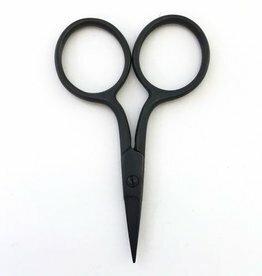 Fashioned after traditional Chinese cutting tools, these matte black scissors offer extremely sharp knife edges on both blades. Scissors measure 4" in length. 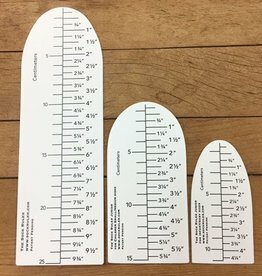 The Sock Ruler measures adult sizes and a child's size large. Made from a durable plastic that is flexible and provides easy to read measurement markings. The Sock Ruler Combination Pack comes with 3 rulers: adult, child, and baby/infant. 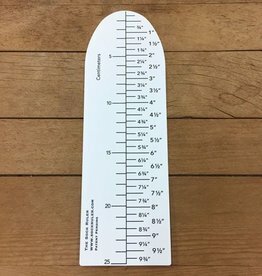 These rulers are great for both toe up and cuff down sock construction. The Addi Knitting Thimble Finger Ring makes continental-style stranded colorwork simple. 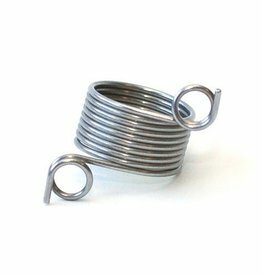 This flexible metal wire ring will fit an average size index finger. 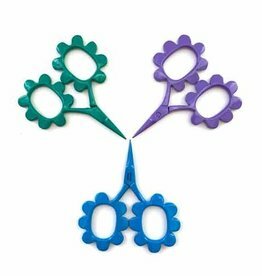 Available in an array of cheerful colors, these metal Flower Power Scissors measure 2.5" tall and have a nice sharp blade for snipping yarns and threads. A HiyaHiya colored safety pin without a coil is a perfect companion to knitting and crochet to use as a stitch marker and a progress keeper. 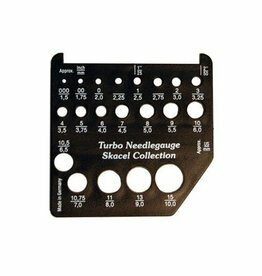 Made in Germany, the Addi Turbo Needle Gauge measures knitting needles sized 000 US/1.5mm to 15 US/10.0mm and will measure a 2 inch/50mm swatch. 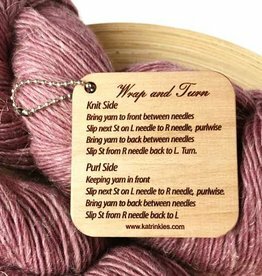 A part of the Katrinkles Mix and Match Mini Tools, the Wrap and Turn keychain provides written instructions for both the knit and purl sides. 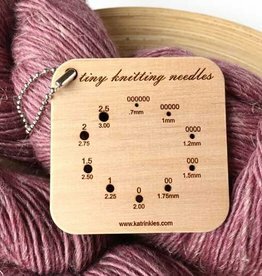 The Katrinkles Tiny Lace/Sock Needle Gauge Keychain is a great notion for the lace and sock knitter. Measures needle sizes US 000000 to US 2.5 and .7mm to 3mm. 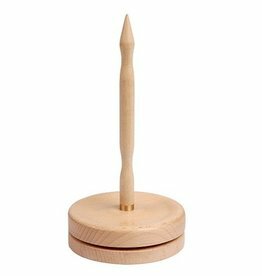 Working with a cake of yarn has never been easier when the Natural Yarn Dispenser from Knitter's Pride is involved. Made from natural birch wood. 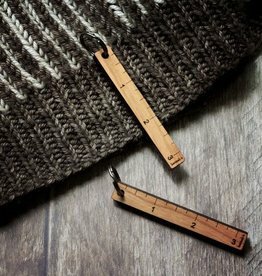 With the Nirvana Row Trackers you can easily keep track of multiple rows on multiple knitting projects. Packaged in sets of three assorted paper colors.